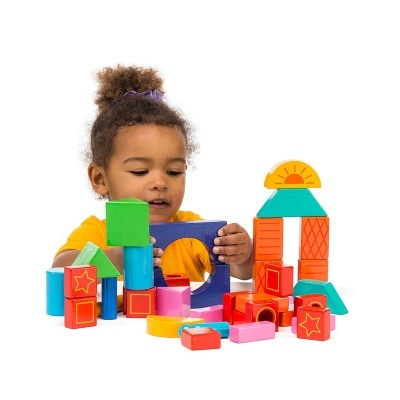 Traditional coloured building block set by fair trade toy supplier Lanka Kade. Beautifully handcrafted from sustainable rubber wood. 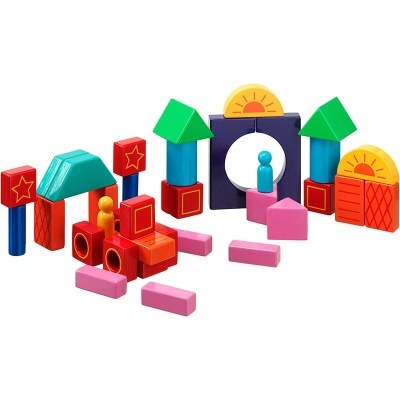 Traditional coloured building block set by fair trade toy supplier Lanka Kade. These colourful building blocks are a fun way for children to develop their understanding of shapes and stimulate dexterity skills. Beautifully handcrafted from sustainable rubber wood.